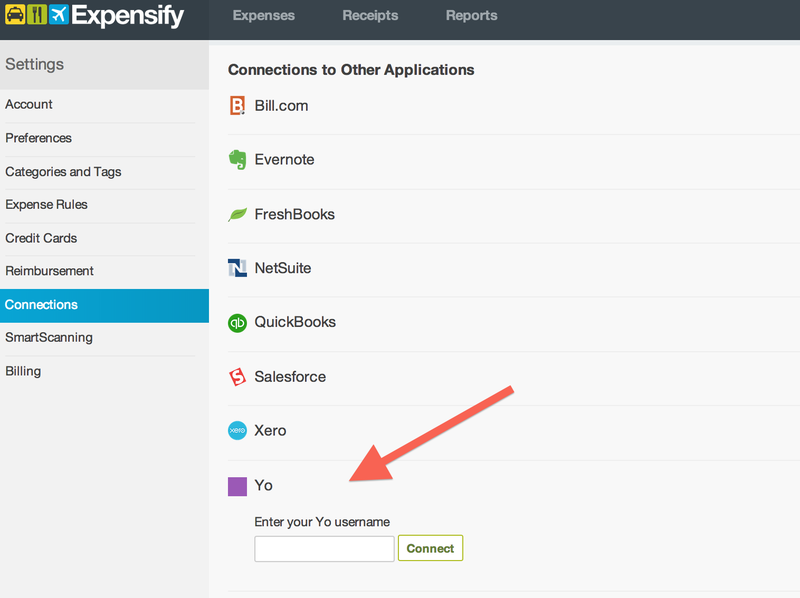 While thinking of fun, creative projects that would also WOW our customers, software engineer Carlos had the AMAZING idea of integrating Expensify with Silicon Valley’s newest darling, Yo. To set it up, go to Settings > Connections. Scroll down until you see the Yo integration, and enter your username before pressing ‘Connect’. After connecting, you’ll get Yo’d as soon as you get reimbursed. People want to be notified when they’re reimbursed. Yo is a simple communication system that works perfectly in context. Once Yo opened their API, an Expensify integration was a no-brainer. Have a question? Email us at help@expensify.com or give us a shout-out on Twitter!